It is almost time for Pre-K Round Up! 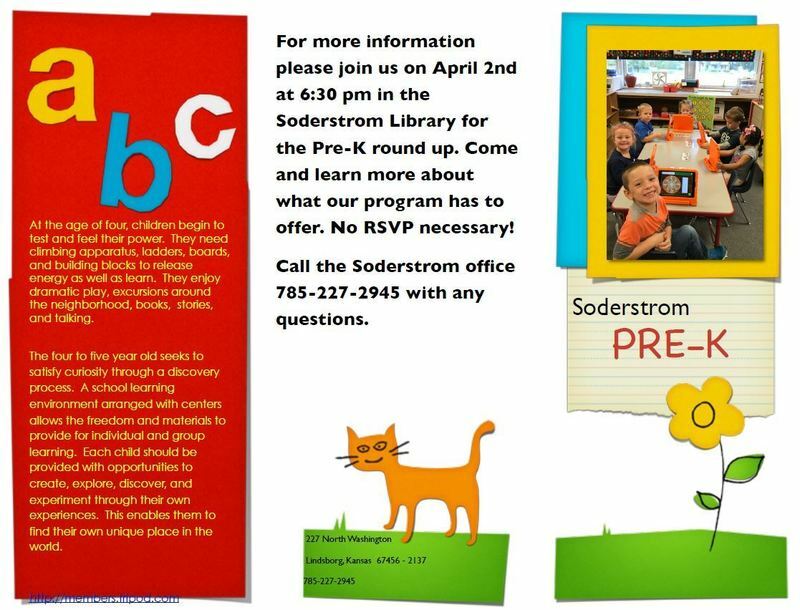 Please join us on April 2nd at 6:30 p.m. in the Soderstrom Library to learn more about what our program has to offer. No RSVP necessary! Please call the Soderstrom Elementary School Office with any questions at 785-227-2945.